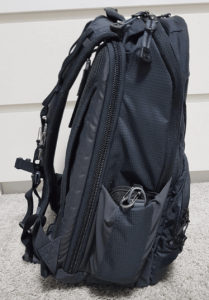 If you are looking for the best every day carry (EDC) backpack you came to the right place! 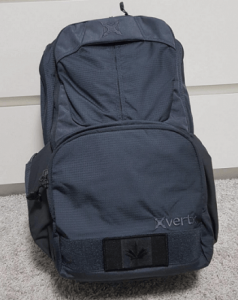 You may fall in love with the vertx backpack like I have. The vertx ready pack is an upgraded version of its larger cousin ‘the Vertx EDC Gamut’; you will note that this pack is more compact. This is my Vertx EDC ready pack review; Let’s go! It is good to see that this pack did not just make its way to shrink the Gamut but to address the serious concerns about the Gamut. It is made in Vietnam and distributed by RSR group. A leading nationwide distributor of firearms and shooting accessories. This builds makes you assured that the Vertx EDC ready pack is reliable and dependable. It is well made using a sturdy cordura material that is very durable, so this pack can withstand years of abuse. Besides, this pack comes in black color making it a great option when you want something that you will not be cleaning every day. The backpack is made from a nylon mesh so even if you will be required to clean it, the vertx ready pack is a wash and go pack that will be quick to clean. It’s dimensions are 19”×11”×8.5” which is enough to carry most of your shooting accessories. The good news is that your 15” laptop will fit into the pack and leave enough space for your firearm and other gear you need on the go. as a bonus, this pack retains a light colored interior with contrasting pulls and zipper tracks for better visibility in low light conditions. Carrying this pack is very easy, thanks to the spacer mesh panel that provides a breathable and comfortable shoulder carry. It is lightweight (3lbs) which means you can carry it on your back comfortably. If you do not want to have it on your back, you can still commute comfortably carrying the pack in your hand, thanks to the Velcro-lined, rapid access concealed carry platform. Additionally, this pack is made with the mind of an active user at heart. It is good to see that the interior compartment accepts a hydration bladder and on the outer side, there are pockets on each side cinch to secure small gears within reach. What is more is that the internal compartments are padded to keep your valuable items secure. Again, the straps of the Vertx ready pack features the 1919 modular webbing on the strap, which offers multiple points for accessories attachment. It is great to see the countless storage compartments and capabilities that makes this pack very user-friendly for all your everyday function items. Finally but not the least, the Vertx features a concealed zipped compartments. You can take advantage of its compatibility with ballistic insert for added protection. 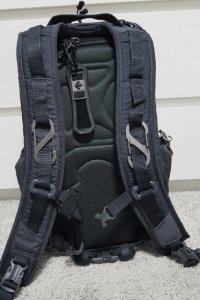 In my review of the vertx EDC ready pack we have talked about various specifications like the upgraded version and the kind of material. What really stood out to me was how ergonomically the backpack was and the ease of use of the compartments. What flaws may be the limited colors but it’s not a deal breaker for me.